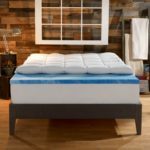 The memory foam mattress topper is not like an ordinary mattress topper which you can clean and wash using common practices. 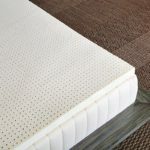 It requires you to have a little knowledge about the basic characteristics and care tactics about memory foam and what it requires to maintain it properly. That is why we have compiled some useful tips along with a simple yet beneficial process of completing your memory foam cleaning task in an easy way. 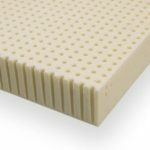 Read this article carefully and you will know how to clean a memory foam mattress topper the right way. + Handheld vacuum cleaner or full size vacuum cleaner with a hose attachment so that you can move the hose on the mattress topper. 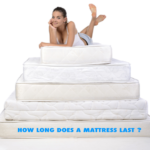 There could be two different conditions when you will need to clean your memory foam mattress topper. One of them is, when you are going to clean the topper only for regular maintenance and only need superficial cleaning and spot cleaning, while on the other side, you may need to wash it thoroughly after spilling some liquid on the mattress topper. We’ll discuss both processes one by one. Remove the topper from your mattress and take it to a clean, dry and smooth surface, and spread it properly. 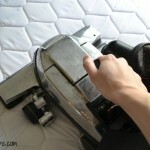 The first thing that you must not forget to do, is to vacuum clean the mattress topper. It will help you remove the dust and any debris or dirt that is there. Next phase comprises of cleaning the dark or visible spots you can see, and need to remove. For this you can use white vinegar. Just dilute the vinegar with a little amount of water and rinse with the help of a soft cloth, gently, until the spot is removed completely. You may use borax or pet stain remover to clear away the spots. After treating the spots and removing them, you need to apply cloth washing detergent or liquid diluted or mixed in water, don’t just spill all the liquid on the mattress topper, rather use a dry white damp cloth to apply the cleaning agent or use a spray bottle to apply it. This will help you to avoid seepage of detergent to the inner parts of the topper. Leave it for about 30 minutes. Make sure you are not using a low quality detergent or clothes washing liquid so that the topper will not lose its appearance and features. After leaving it for the specified time, use a spray bottle to spray water on the surface and keep on rinsing with soft hands with the help of soft cloth or towel and water being sprayed on it. It will remove all the soapy layer or detergent from it. Dab the surface with an absorbent cloth. Turn the mattress topper and clean the underside of the topper, using the same process as you did for the first one. Use a soft, absorbent piece of cloth or cotton towel to blot the excess of water from the surface of your mattress topper. After completing the whole cleaning procedure, leave the memory foam mattress topper in an airy room with a fan over it, or use a handheld dryer to blow air all over the surface. This will facilitate the drying process. But never bring the dryer too close to the topper’s surface, as it will destroy its texture and affect its softness. You can wash the topper while keeping it on a clean and smooth surface. Make sure, you spread the topper straightly with no bump below it. Wash it thoroughly with cold water, and see if all detergent is washed away. Roll the topper inwards and press slightly to remove the excess water, but don’t squeeze or tumble dry. Leave the topper to dry under shade with sufficient air blowing over it. You can also use a fan or dryer to blow air over the surface and facilitate the drying process. + Try to avoid using hydrogen peroxide directly on the surface of a memory foam topper as it destroys the texture and the color of the memory foam. + Always keep the dryer delivering hot air slightly away from the topper, so that it would not damage the surface cells. + Never dry the memory foam topper under intense and direct sunlight. Rather, keep it under the shade where there is a slight sunlight and plenty of dry air coming through. Or you can keep it when the heat of the sunlight becomes lesser as compared to the peak hours at noon. + Always make sure your memory foam topper has got completely dried. Otherwise, if there is a slight mist or moisture left behind, it may develop mildew. 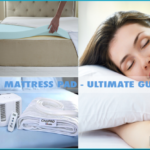 + Always keep in mind that you don’t have to wriggle or squeeze or tumble dry or machine wash your memory foam mattress topper as it will ruin the consistency and you will lose your mattress topper. 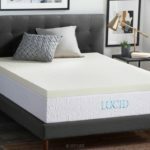 Finally, I hope that this article gives you some good information and useful tips on how to clean memory foam mattress toppers. Please share your ideas by leaving a comment below if you have some tips to help us do it better. Awesome tips you have here. Have you tried baking soda? it works wonders! Thank you so much! I will definitely try the method recommended. It was urine, so I will try vinegar and then sprinkle baking soda on it! What do you do if the entire thing gets saturated with water as a result of prank? Then they WASHED it in the washing machine! 3. keep drying it for entire area and hope/you can try other ways. Can you bring your foam mattress topper to a laundromat or cleaners. Why not put a mattress protector over the memory foam to protect it. This is what I did then u can wash it as often as I wish. Yes, using mattress protectors is a good way to protect your mattress. But using a mattress topper brings more benefits than just protecting. You missed what Heidi said. Her idea was to put a mattress protector OVER THE MEMORY FOAM TO PROTECT IT. Then you can wash the mattress protector (rather than the memory foam). I do the same as Heidi. I also give the memory foam a light spray of Lysol and air out after vacuuming, while the mattress cover is being washed! Yes, it’s good to protect our bed with a mattress protector. Almost all protectors are waterproof and machine washable, so we can wash/take care of our bed much easier. CJ, thanks for sharing your opinion! Does this stop the smell? After so many years you just need to buy a new one.